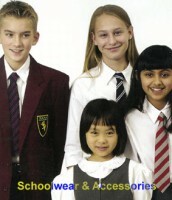 Welcome To Uniformity Schoolwear & Accessories! Because our e-commerce website continues to incorporate an increasing number of items for you to browse and purchase, it is possible that the item you require may not yet be part of its content. Therefore if you cannot see items that you either wish to purchase or simply about which you would like more information, you can telephone or email us using information found via the Contact button at the bottom right of this page. We stock sweatwear, knitwear, blazers, ties, jackets, dresses, skirts, trousers, shorts, sportswear, bags, etc from suppliers such as Blue Max Banner, David Luke, Falcon Sportswear, Graham Winterbotton, Gregory Pollard, Rowlinson Knitwear, Sportex, William Turner, Zeco, and many others, so if you find any item on their websites that we do not currently stock, simply get in touch, and we will order it for you. Check out our limited edition range of Ben Sherman Schoolwear. We have also just introduced a line of Waist Adjustable Cullottes. 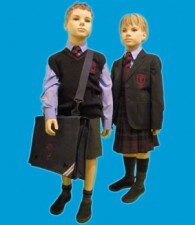 We have been selling school uniform from our small High Street premises for almost sixteen years. Initially this was as a small part of Ebony Baby Boutique, but as from March 2008, and due to ever increasing demand, as a separate business on the floor above Ebony. 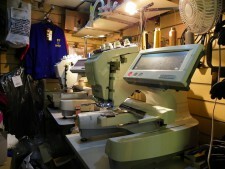 We stock a suprisingly large number of lines for a relatively small business, and all school embroidery is done on site. Embroidered uniform is provided for an ever increasing number of local schools, and includes Crooksbarn (Norton), Frederick Nattrass (Norton), The Glebe (Norton), High Coniscliffe Pre School (Darlington), North Shore Academy (Norton), Norton Primary, Oakdene (Billingham), St. Aidan's (Hartlepool), St. John Vianney (Hartlepool), St. Josephs RC (Norton), St. Pauls (Billingham), St. Peters (Elwick), Tilery (Stockton) to name but a few. We are also suppliers of the Speedo Endurance range of school and club, junior and adult swimwear. 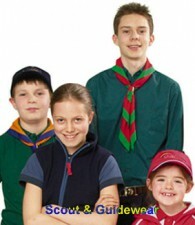 We are also stockists of the official ranges of scout and guidewear from The Scout Association and David Luke respectively, and which incorporates Beaver Scouts, Cub Scouts, Scouts, Air & Sea Scouts, Explorer Scouts, Scout Network Leaders, Rainbows, Brownies and Guides. Gauging the fit of childrens wear is notoriously difficult. Many manufacturers try to alleviate this problem by stating age "guestimates" for given sizes of garment (a manufacturer may, for instance, state that a size 34" chest sweatshirt will fit an average sized child of 11/12 years of age). Unfortunately, children of the same age vary widely in terms of both height and size, and even competing manufacturers often disagree in their size to child age ratios. Indeed, some manufacturers further add to the confusion by changing their own size/age guidelines from one year to the next. Obviously there is no substitute for trying a garment on for fit, but this is, of course, impossible when purchasing remotely. For this reason, with a few inevitable exceptions, we have dispensed with any reference to ages throughout our entire website. We instead stick strictly to physical dimensions, with additional measurements as and when appropriate. Schoolwear can also vary in actual dimensions from one manfacturers stated size to that of another, but our licensed Scout and Guidewear adheres to strict standards, and so, if possible, it might be useful for your child to try a friends specific garment on for size prior to ordering from us. It's important to choose the correct fit because, in line with trading standards and your consumer rights, our returns policy does not encompass incorrectly fitting garments, only those erroneously supplied. We provide an in-house design, artwork and embroidery service, not only for school, club and commercial purposes, but also for personal use. If you have an existing design that you would like digitising for embroidery purposes, simply send us an appropriate image, and we will create a digital embroidery file in the format of your choice. We can also, of course, handle the embroidery on your behalf, whether on garments you supply, or those supplied by ourselves. If you need a design creating from scratch, we can also provide this service.